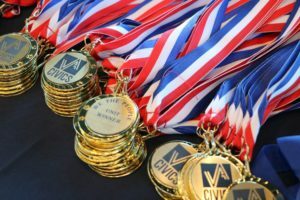 The Virginia State ‘We the People’ Finals are here. The event is open to supporters. Come see what Virginia’s best and brightest students think about government issues. Students are divided into units and prepare a presentation on their focus area then participate in simulated Congressional hearings on a wide variety of topics from natural rights to immigration and Congressional representation. The MLWGS team will be in Charlottesville on February 1st and 2nd. Good luck team members!